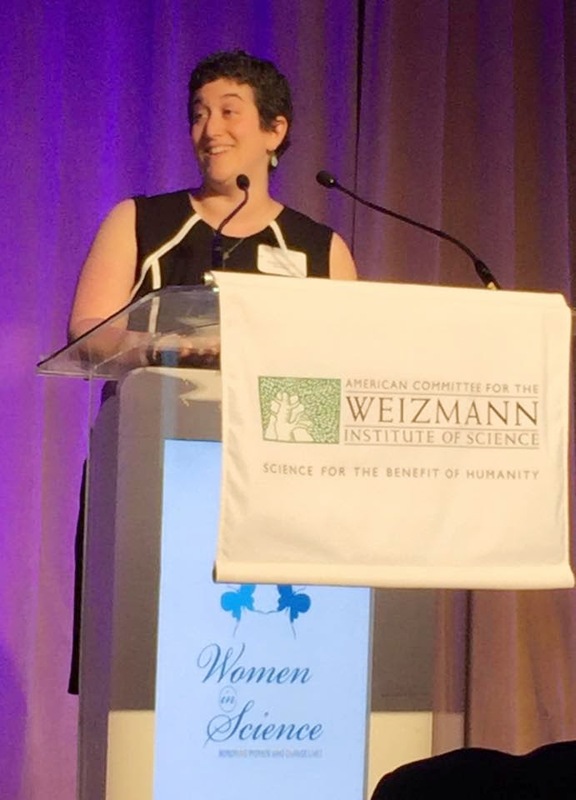 Today I was honored for "vision and inspiration," by the American Committee for the Weitzman Institute for Science. This is an incredible research facility in Israel that is engaged in cutting-edge medical and scientific research. Some of their cancer research work has been revolutionary and continues to make strides. So I was really pleased to be able to support this organization and be a part of the Women in Science luncheon today. What an honor! Wow...thank you! And I was able to speak and remind everyone that just today, 46 children were diagnosed with cancer and 7 died. Each day, I believe in a future in which that isn't the case. But the truth of it is...inspiration has come to me from so many along the way. I have met so many inspiring women and men along the way in the past few years. Mothers and fathers pushing strollers and wheelchairs, chasing bald toddlers with IV poles. Parents searching all over the world for bone marrow matches for their children, uprooting their families in search of the doctors who know the diseases that afflict their children. Families putting on a brave face, traipsing off to wishful trips and imagining bright futures that slowly dim. Young patients helping other patients, offering comfort and support as they discuss their central lines and their favorite hospital tricks and treats. Cancer survivors offering hope and inspiration by their very existence. Nurses who work nights and days, who remain calm during terrifying moments and work with efficiency and competence to soothe their young patients. Doctors who are kept up at night by the DNA of their patients' cancers, fretting over platelet counts and liver function numbers, and offering what they have, only data-based hope that often doesn't have enough data to offer enough hope. I stand here today representing all of them, knowing that their voices are not often heard. People tell me, often, that our story, Sam's story, was special. I often reply that unfortunately, his story is neither unique nor special. What is different about Sam is that his parents are storytellers with big voices. And so I represent so many others, so many inspirational and visionary people who inspire me every day. I say thank you, not just for myself, but for every person who has and continues to inspire the work of raising funds and awareness towards ending childhood cancer. Thank you for honoring me, and for giving me yet another opportunity to say Sammy's name out loud to a whole roomful of people. Congratulations. They chose a worthy woman. The Weizmann! I visited the Institute in Rehovot two years ago and was absolutely bowled over by it. What an incredible honor - they do such amazing work, as do you!